I will create 20 PR9 root domain Backlinks + 200 EDU Backlinks using blog comments using high authority EDU domains + 20 PR9 to PR5 from HIGH Authority EDU and GOV websites using redirects to your website just for $7 ! I will create the edu backlinks build on your PR9 backlinks but you can choose to create them directly to your website, just specify when you order. 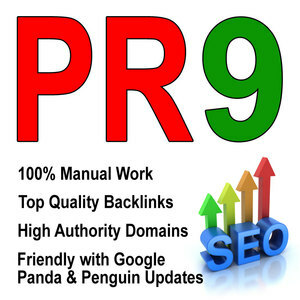 All I need is just your website url, desired keywords and a short about me description for your PR9 profile backlinks. You will get a full report file in max 3 days with all your backlinks ! create 20 PR9 root domain Backlinks +200 EDU Backlinks +20 PR9 to PR5 EDU GOV redirects is ranked 5 out of 5. Based on 1 user reviews.